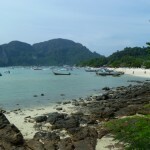 In this post, we are going to share with you how we went to Koh Phi Phi island from Phuket and return from the island to go to Phuket International Airport. 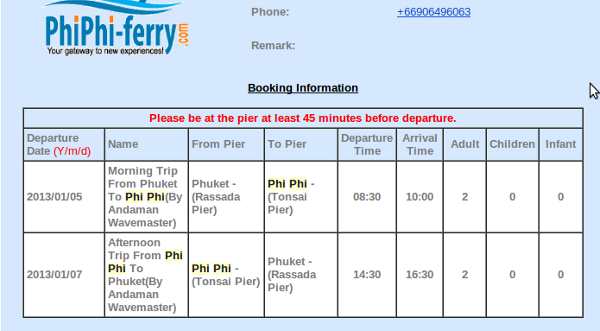 The website we used to book our ferry tickets is http://www.phiphi-ferry.com/, they also offer land transportation. 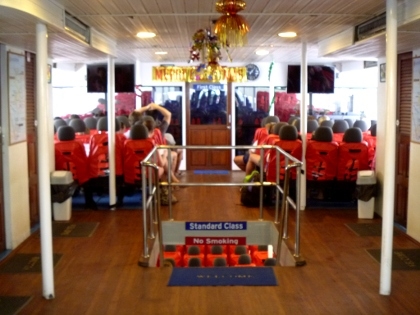 The boat operator is Andaman Wavemaster which is an experienced boat operator established in 1999. You can also book directly from their website for basic transportation and maybe you will be interested in their diverse tours as well. This is certainly not the only way to go between these two islands. There are some other boat operators you can choose from for sure and the price might be cheaper. 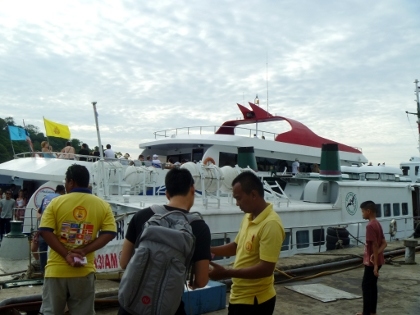 However, since we had a very good experience taking the boat operated by Andaman Wavemaster twice, we thought it would be helpful to share the experience with you just for your consideration whenever you want to make the same trip. Make the payment and you will receive an payment confirmation email from them with an invoice number; Booking confirmation will be sent to you in a separate email. The round way ferry fee in total for 2 adults was 1920 baht (480 baht one way per person), plus land transfer fee and VAT, grand total was 2483 baht. Please note that if you want to book land transfer, book it 2 days beforehand. You can just show the staff your electronic email confirmation or print it out when they come to pick you up at your hotel in Phuket. The minivan driver will take you to the pier and give you a hard copy ticket. You will also be given a colored sticker to indicate which boat you are supposed to get on. There are two floors inside the boat. One for first class and the other one for standard class. Remember to wear long sleeves and pants because they set the AC temperature really low. Guess that helps with avoiding sea sick. 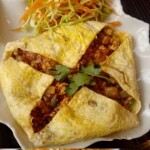 There are also some free snacks, bread, coffee and tea available during your trip. On the way back to Phuket from Phi Phi island, the staff at the pier will check your ticket and give you a sticker. Make sure you have the sticker on you and you will be directed to the right place to wait for your boat. If you book land transfer, the staff on the boat is going to write your destination on another sticker. It’s easy for them to arrange the land transfer when passengers get off the boat according to these stickers. Our original destination when we book the land transfer from phiphi-ferry.com was Phuket town bus terminal station. We were going to take the bus to go to the airport because it’s cheaper. But since all the passengers in our minivan were going straight to the airport, we discussed with the driver and paid him a little extra money. He sent us to the airport directly. 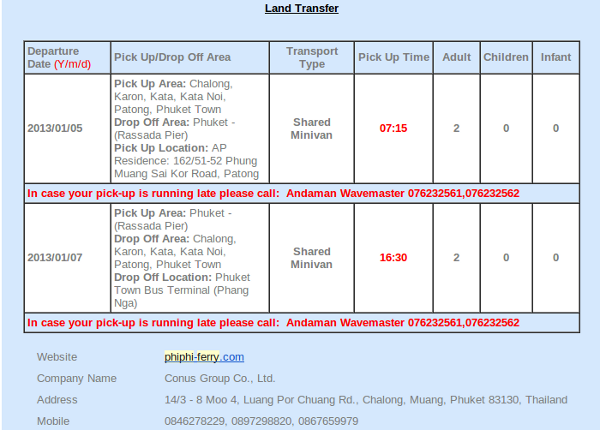 Based on our experience with Andaman Wavemaster, they are very organized and they handle all the transportation very smoothly. We would say it’s a good option. Hope it’s useful to you! Cheers! 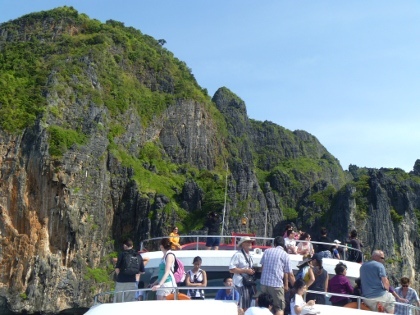 Thanks for the comprehensive write up on how to get to Phi Phi. Makes trip planning a lot more straightforward.